South Bend, IN – ABRO Industries, Inc., of South Bend, Indiana, had filed a Copyright infringement lawsuit in the Northern District of Indiana alleging that 1 New Trade, Inc., Igor Zorin, Boris Babenchik, Vadim Fishkin of Baltimore Maryland, and Quest Specialty Coatings, LLC of Menomonee Falls, Wisconsin, infringed copyright on pending US Copyright Application No. 1-1845314781 filed by Plaintiff. Plaintiff is an Indiana corporation that distributes automotive, industrial, and consumer products such as cleaners, adhesives, lubricants, service fluids, and engine additives. Defendant is a Maryland corporation that distributes similar types of products. One of the products that Plaintiff distributes is a carburetor and choke cleaner. The copyright for the packaging of this product is pending under application number 1-1845314781. Plaintiff alleges that the Defendant has been unfairly competing by obtaining a similar product from Quest and redistributing it for sale in packaging virtually identical to Plaintiff’s packaging. Plaintiff alleges that Defendant is distributing a similar product, in identical packaging, to a similar market. Plaintiff moved for summary judgment on the copyright claim and other contract claims, such as tortious interference. 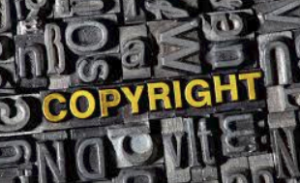 The Northern District granted summary judgment for ABRO’s tortious interference claim, but granted summary judgment to Defendants for the copyright claim. The court determined that ABRO did not prove a “presumption of validity” in the claimed copyright, stating that because ABRO did not register the copyright before or within five years of the first publication of the work, there is no automatic presumption that the copyright is valid when doing the analysis. Further, the court found that as a whole label, ABRO’s label was not copyrightable, and that it was simply a format or layout not subject to copyright protection. However, some of the individual elements, such as the image of a carburetor and the instructions and warnings on the label were copyrightable. The court concluded that the carburetor images used on the two products were not substantially similar, and the warning labels were worded differently and also not substantially similar. Thus, the court granted the Defendant judgment as a matter of law on the copyright infringement claims. This case was assigned to Chief Judge Theresa Lazar Springmann and Magistrate Judge Michael G. Gotsch, Sr. in the Northern District of Indiana , and assigned Case No. 3:14-cv-01984-TLS-MGG.